Tailgate in the comfort of your home! Internet prices in the store…all the time. This is our sweet spot. There are very few who specialize in the outdoor kitchen, but we do. We are trained on the design and we use the grills and appliances that go in them ourselves. We have designed and assisted in over 1500 outdoor kitchens going from a dream to a reality. Our showroom is the only place you can view 5 outdoor kitchens in an air-conditioned and heated indoor showroom. Pick your doors, storage, cabinets, grills, hoods, refrigeration all in one room! 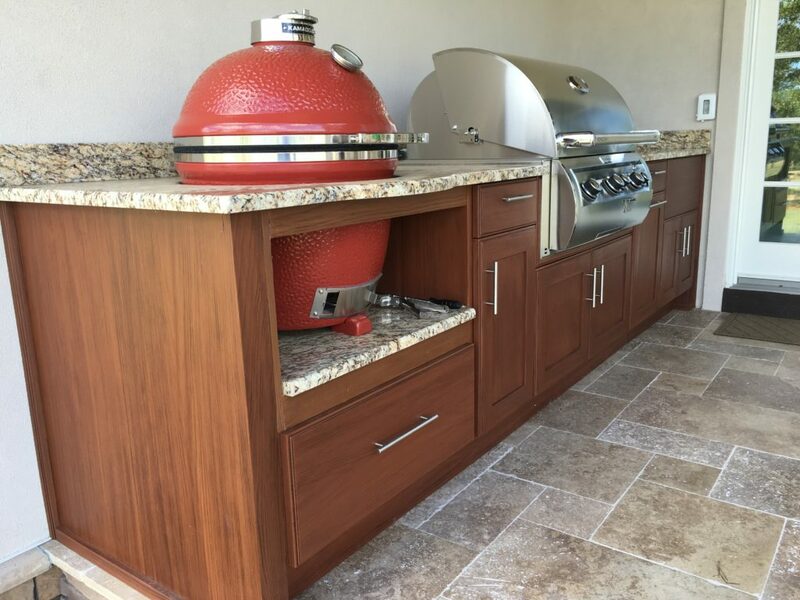 Whether you are ready to start small, go big time, or are looking for the perfect solution right in the middle, we are ready and can be sure you get the outdoor kitchen of your dreams. Don’t just settle for an outdoor kitchen, get a Fireside Outdoor Kitchen. Available anywhere in the United States of America.